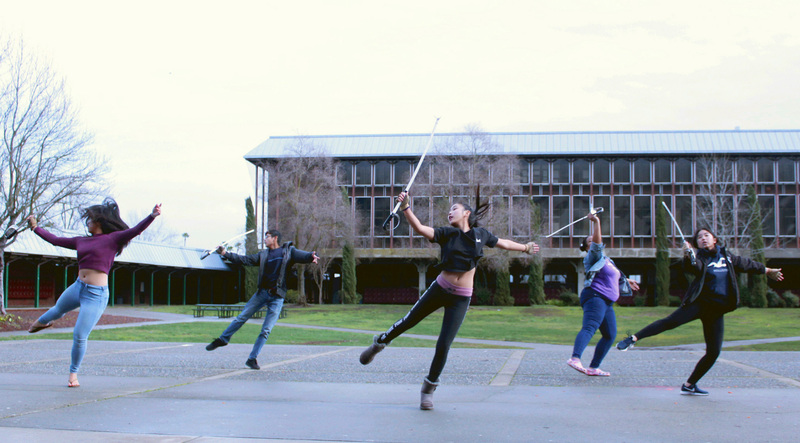 The transition from fall to winter is what happens every year after Thanksgiving break for Kennedy’s award-winning color guard. Following their last competition with the band, Kennedy’s guard now has a shorter show compared to the normal eight to ten-minute performance. This season, there is no longer A Guard and B Guard, having combined the two into just the scholastic-ranked former. With this, Kennedy will only have one team performing in competitions. The captains this season are Cindy Leung and Lisa Kim (Class of 2019). With a total of 17 members, 12 are returning and five are new. 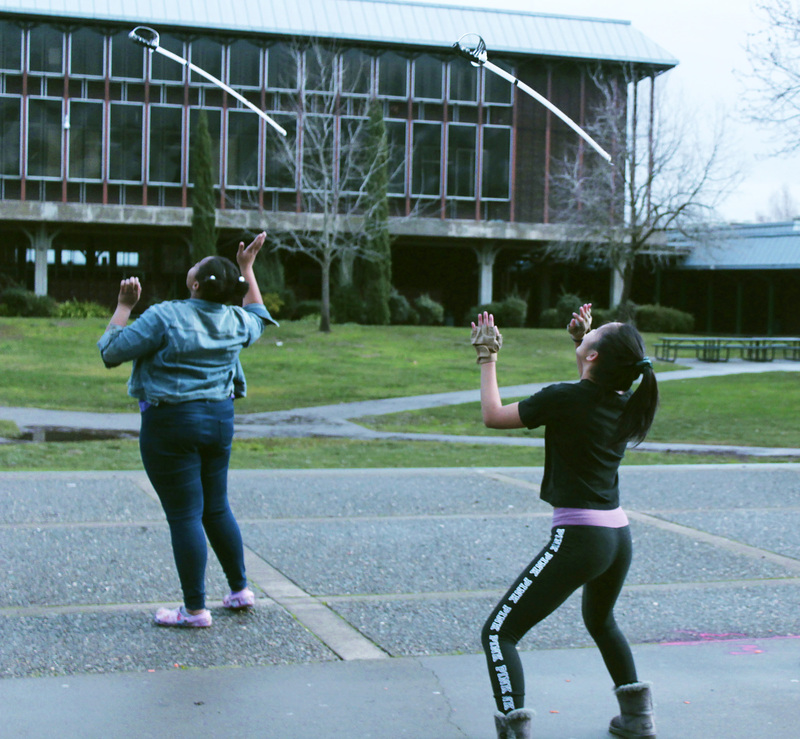 Calyn Mims-Wesley (c/o 2020) and Cindy Leung (c/0 2019) synchronize sabers in their color guard run-through. Their practices are similar to fall season, being on Tuesdays and Thursdays. However, they now run from 3:30-6:00. The season ends around May with about five to six competitions. Traveling to various high schools to perform, Kennedy’s winter guard is not something to be missed.